Still getting ready for vacay over here. I've found that a small, packable bag for evenings to be a vacation essential. I have no room for more than one, so it has to go with just about anything. I want it to be one level above completely casual - chic without feeling like I am over doing it. And this bag must be small enough to fit in the purse I carry on the plane, or at a minimum, my carry-on bag. Cult Gaia Cora Clutch. This one stopped me dead in my tracts. It's a great price. It's chic and cool. It's small, but not too small to hold my phone and a lipstick and the keys. Perfection, really. 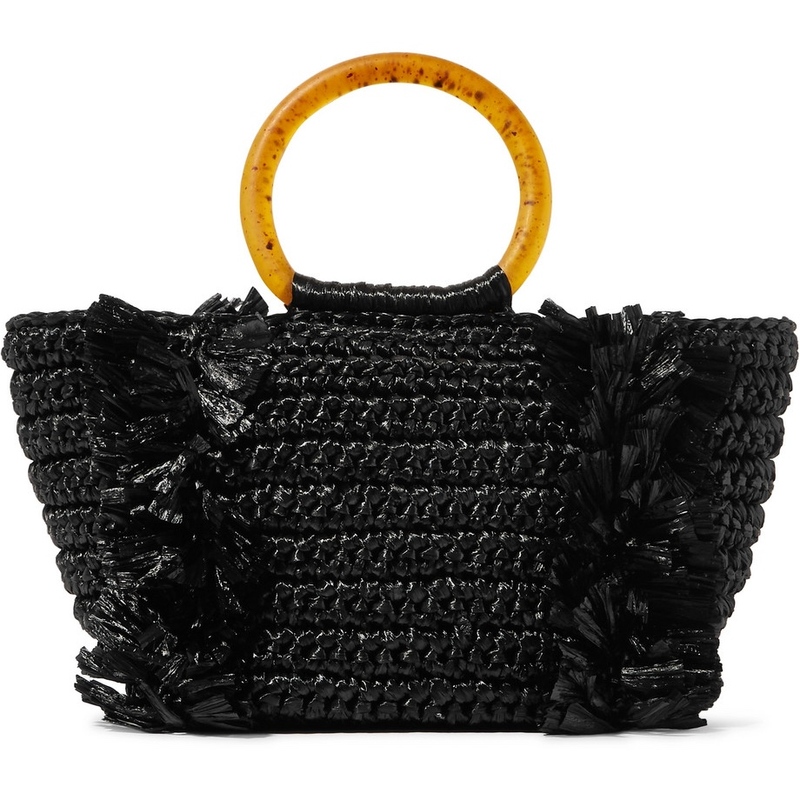 Carolina Santo Domingo Raffia Ring Tote. I bought in early on this one and fully intend to take it with me next month. It goes with anything. It has a long strap so I can bust out a cross-body if we end up having to walk a long way to dinner. It's black so it is supremely practical. It's soft sided so it packs well. 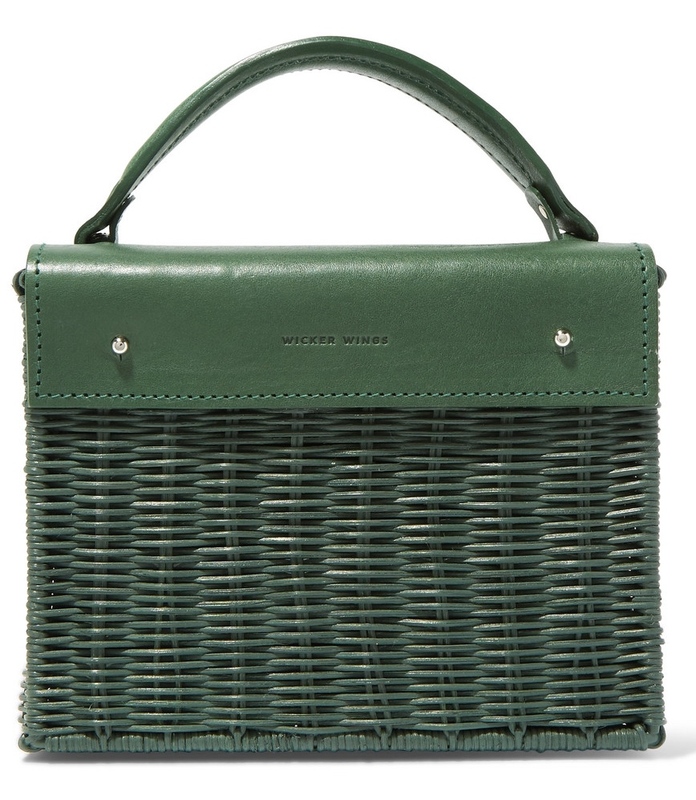 And, this mini and it's much larger counterparts are quickly becoming the summer it-bag. 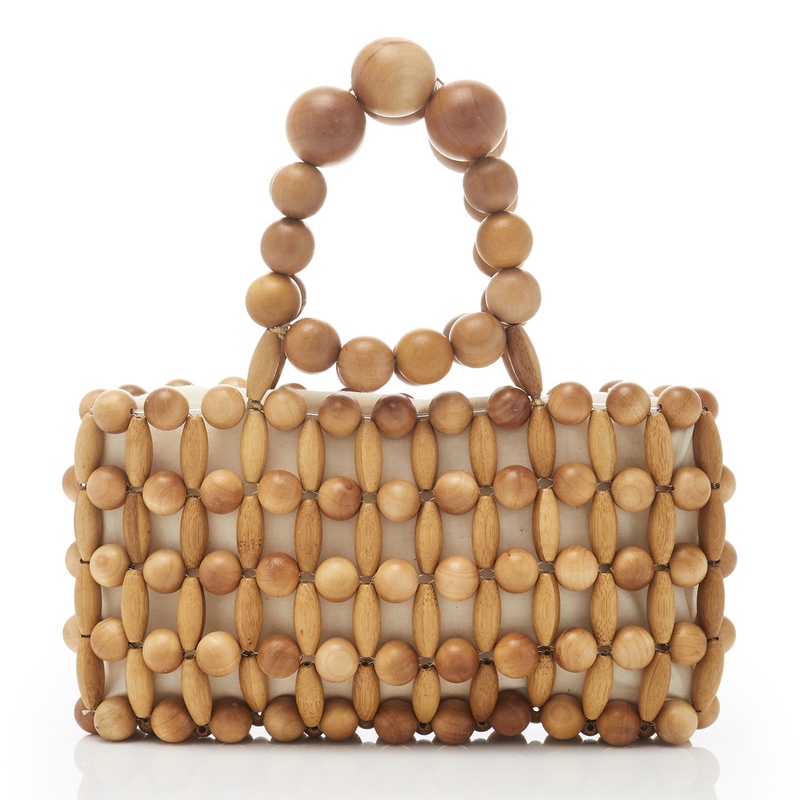 Johanna Ortiz Mini Archipielago Bag. This one wins the chic award of the decade. First, marigold. Second, the styling, including shape and texture is litty. Third, waft a small spritz of Johanna Ortiz across any outfit and you are sure to Shut. It. Down. 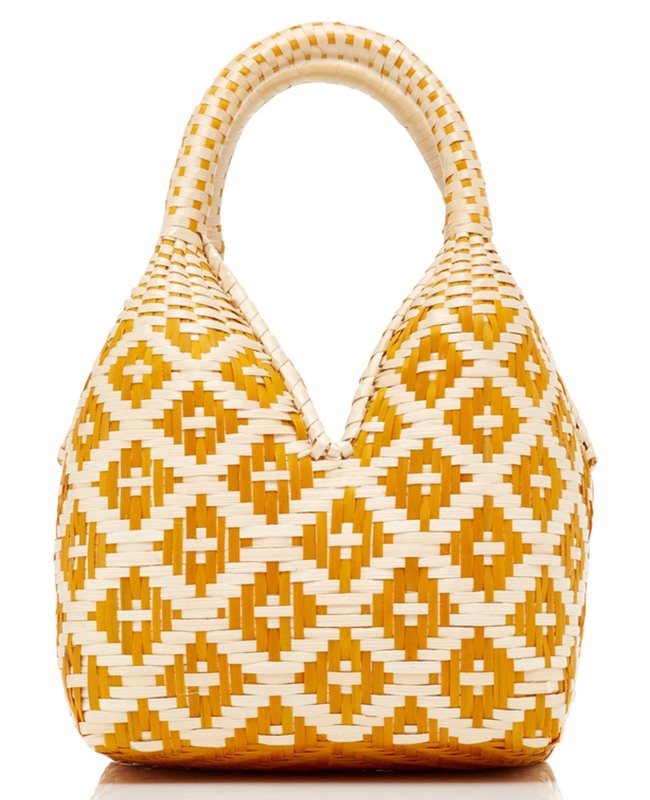 Donni Woven Tote. The silk tie handles are killing me. The perfect high-low. Can you imagine how chic with a sundress and a flat sandal? 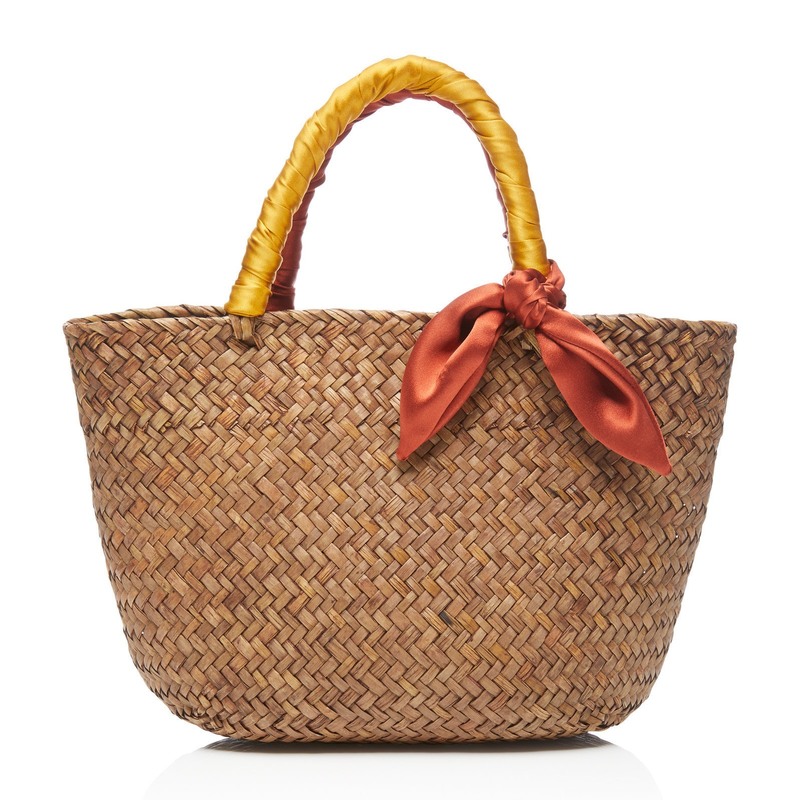 Wicker Wings Rattan and Leather Tote. Bottle green is probably the world's best kept secret neutral. You read that right. It looks pretty amazing with black, white, blue, marigold, beige, orange, red. I can't say I would wear with purple but I would def bust it out with fuchsia. And, wicker is everything right now. And, it could become your favorite everywhere purse because it comes with a strap.